Need to corral a group of giant monsters that fell through an interdimensional gateway? Need to get your brand-new planetary computer system working -- but the instructions are written in an alien language? Contact the Starfleet Corps of Engineers team on the U.S.S. da Vinci. Led by Captain David Gold and former Starship Enterprise engineer Commander Sonya Gomez, the crew live by their motto: Have tech, will travel. Overseen by Starfleet legend Captain Montgomery Scott, the S.C.E. crew must solve the mystery of an outpost attacked by a strange new weapon and improvise a way to defeat a foe who has them outgunned in a heart-stopping space battle. Join Starfleet's miracle workers for a death-defying journey! 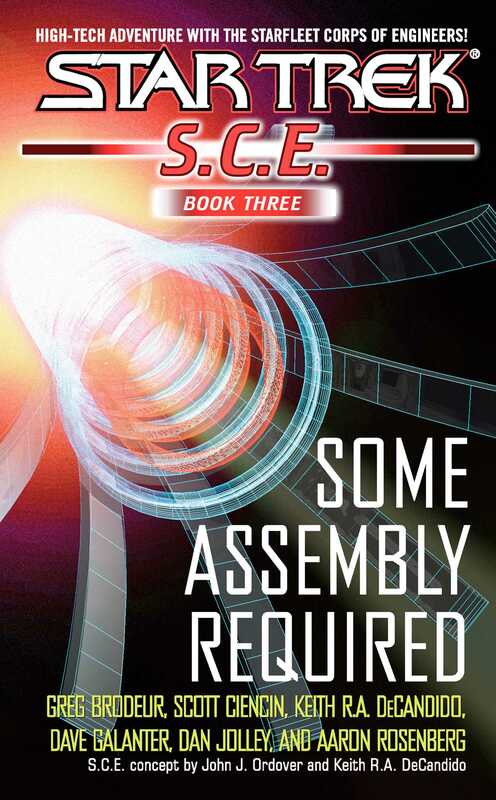 SCE OMNIBUS BOOK 3: SOME ASSEMBLY REQUIRED contains the complete eBook editions of S.C.E. adventures #9-12.